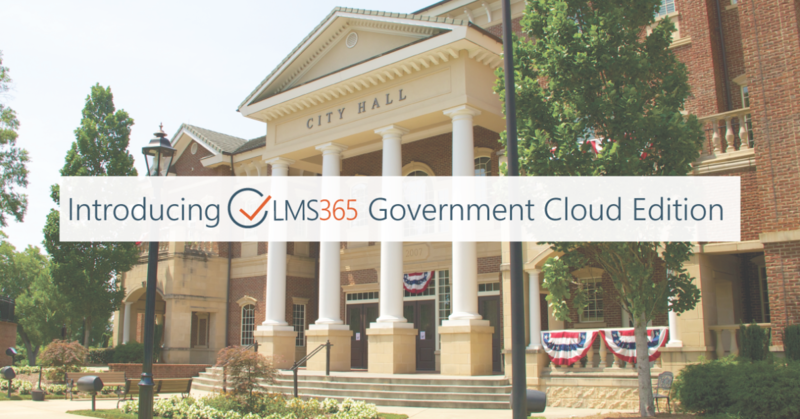 ELEARNINGFORCE Americas (EFA) is excited to announce the deployment of LMS365 US Government Edition. This new deployment of the Learning Management Solution (LMS) built in Office 365 and SharePoint allows government agencies and their partners to deliver organizational training while leveraging the power, scalability and cost effectiveness of the Azure Government Cloud and Office 365 for Government. EFA announced its status as a Microsoft Azure Government Managed Service Provider (MSP) in June of last year. Since then, EFA has helped a large Florida government agency develop a transition strategy and supported their move to the cloud. At the same time, they’ve been able to benefit from the same familiar LMS365 features in a unique environment solely dedicated to U.S. state, local and federal government agencies. LMS365, the learning management system built in Office 365 for the Modern Digital Workplace is developed by global software developer ELEARNINGFORCE International (EFI). ELEARNINGFORCE Americas (EFA), EFI’s leading strategic partner in North America, creates Business Infrastructure Transformation solutions for its clients. As a certified Microsoft Gold Partner, the company provides expert consulting and professional services in three different segments: Learning Management (LMS365), Identity Governance and Administration (IGA), and Migrations. Customers include leaders in the commercial, federal, state, and local government markets. EFA is headquartered in Edgewater, Maryland with operations throughout the US & Canada. For more information visit the company website.